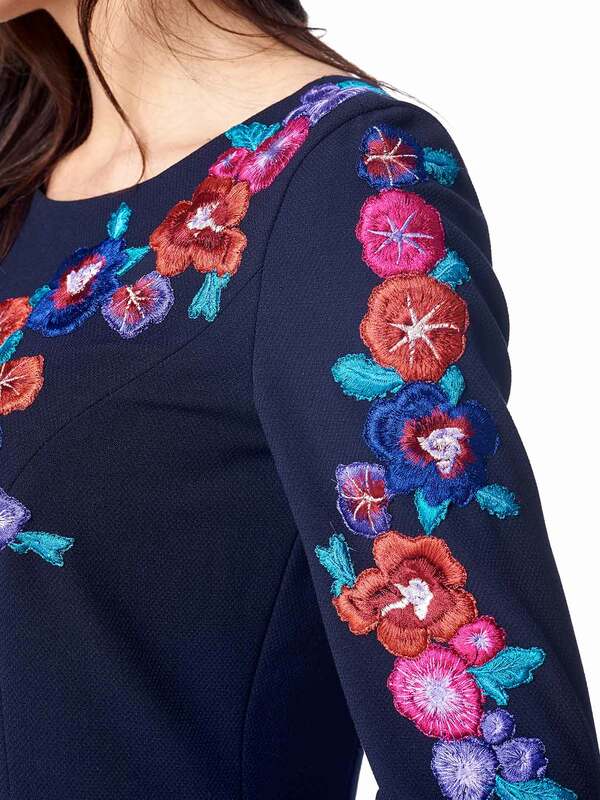 This seemingly classic and simple design is distinct for its colourful floral embroidery on the sleeves which is truly delightful and can enliven your daytime. The dress will prove suitable on a number of occasions, including these which require a rather smart look. Besides, its relaxed fit accounts for a comfortable wear.